Can't make it in July? Class also will be held Oct. 20-21 in Sacramento area. This class opens the doorway to your natural gifts as a healer. It is a powerful two-day, hands-on journey into shamanism and spiritual healing for beginners as well as for healing practitioners of any discipline. Certificate Program Available. Class 1 focuses on Clearing. Clearing of stress, disease, confusion, blocks or beliefs that you no longer need. Whether known or unknown, old or new, from your daily life, carried for others, or even from other lifetimes. From Amos: I believe that spiritual healing is amazing and magical, but not necessarily mysterious. Accessing the unseen world of spirit and intuition is as normal as touch and sound and available to all. My classes offer a practical and easily understandable pathway to your natural gifts as a healer and to your intuition, without the need for superstition. 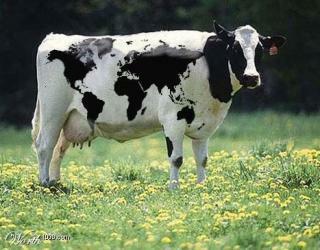 You can "get it right" a thousand different ways. 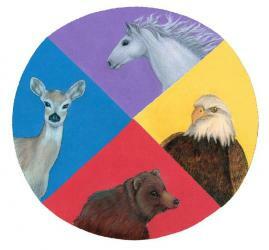 What we will do: Participants will be initiated into shamanic ritual. We will move beyond ordinary reality and learn to connect with spirit in many of its aspects, seen or unseen, including spiritual guides, the four elements, spirit animals, angels and others. You will be introduced to Shamanic Journeying and also to your "spiritual home base" – a place to access protection, guidance, vitality, intuition and unconditional love. This is a place you can always access to ask questions and receive support. You will also be introduced to my new healing model, which includes all modalities of healing, from spiritual to talk therapy, from body work to medical treatment. We will create a safe and heart-centered environment to access the spiritual help that is available to us at all times, mindful of your unique gifts. Creating a loving container for health and healing for others allows you to heal as well. Classes and Certification: This weekend is the first in a series of 8 classes. The rest will be offered over the next year. 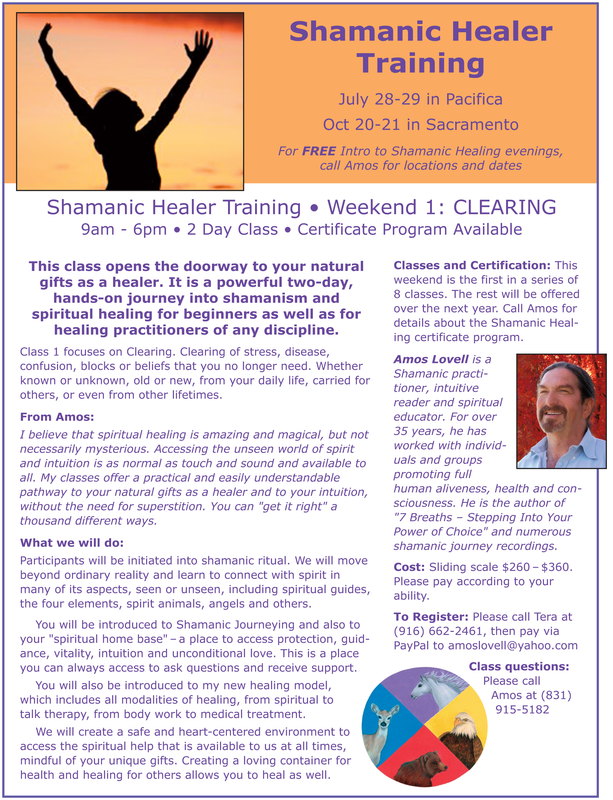 Call Amos for details about the Shamanic Healing certificate program. Cost: Sliding scale $260 - $360. Please pay according to your ability. 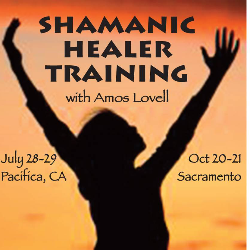 Amos Lovell is a Shamanic practitioner, intuitive reader and spiritual educator. For over 35 years, he has worked with individuals and groups promoting full human aliveness, health and consciousness. 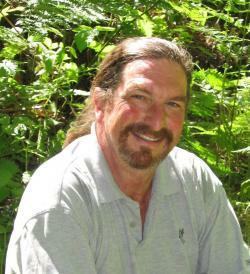 He is the author of "7 Breaths - Stepping Into Your Power of Choice" and numerous shamanic journey recordings.